The La Jolla Community Planning Association (LJCPA) officers, the City of San Diego Planning Department, and the City Attorney’s Office once again met to discuss the La Jolla Association’s (LJA) ongoing challenge to the March and July 2014 LJCPA elections. At this recent meeting City Staff once again informed the officers that the LJCPA was in violation of its City approved bylaws, Council Policy 600-24 and the 600-24 Administrative Guidelines. In a follow-up August 27, 2014 letter from Planning Director William Fulton, the City informed the LJCPA if elected Trustee Michael Morton was not seated, City Staff would proceed with the process to recommend City Council decertify the LJCPA’s status as the recognized community planning group for the community of La Jolla. At their September 4th monthly meeting the LJCPA voted 10-1-4 to reject the City Staff’s recommendations. Their decision was made after a lengthy debate and their clear understanding of the consequences to our community. 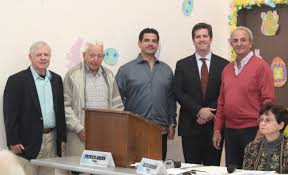 Termed out Trustee Jim Fitzgerald articulated that pursuant to LJCPA bylaws, 600-24 and Article III Section 4(1) of the Administrative Guidelines, that new candidates Michael Morton and Peter Ovanssoff had priority over himself and Joe La Cava who were both termed out candidates. Trustee Ray Weiss additionally affirmed City Staff position regarding the election outcome, but expressed rectifying the election was not an option. Newly elected Trustee Michael Costello stated, he predicted 26 months ago that the LJCPA had not solicited enough new members to join the LJCPA and there would be a shortage of viable new candidates in 2014. Mr. Costello was told, by the LJCPA former President Tony Crisafi, “We are going to impose the 2/3rds rule.” Mr. Costello, Mr. Crisafi and the other Trustees seem to be unaware that Article VIII Section 2 of the LJCPA bylaws incorporates both City Council Policy 600-24 and the Administrative Guidelines into Articles 1 through VII of their bylaws. Current President and termed out Trustee Joe La Cava also acknowledged, City Staff opinion that new candidates in an election trump termed out candidates by merely receiving a single vote. Mr. La Cava also admitted, despite being instructed by City Staff to not have a LJCPA special election, he alone made the decision to ignore Staff request and proceed with a July special election, further complicating the March 2014 LJA election challenge. The motion to ignore City Staff’s recommendation, that will start the process of decertification of the LJCPA, as promised in Mr. Fulton’s above mentioned letter, was made by Trustee Rob Whittemore. The community and the La Jolla Association regrets the LJCPA’s decision to reject City Staffs recommendation. Without further delay, the Mayor, City Council, City Attorney and City Staff should start the process of decertifying the LJCPA. Thereby allowing our community to begin the process of reestablishing creditability, integrity and transparency to our community group.